With all Illinois has to offer for recreational fun, it’s no surprise that you would want to own a recreational toy. If you are the lucky owner of a motorcycle, boat, ATV, snowmobile, or even a four-wheeler, you have made a wise investment. You now have the ability to add a bit of adventure and excitement to your day any time you want … what a great feeling! At The Jager Agency, A Division of Dimond Bros. Insurance we understand that you have invested a lot of your hard earned money and time into your recreational vehicle purchase, and we want to be sure our Illinois neighbors are protected. It is no secret that when you’re riding a motorcycle or sailing the seas in a boat, the dangers are a lot different than they would be if you were simply driving a car. Although auto insurance policies can add supplemental liability and physical damage coverage, these standard policies often do not adequately cover the cost of damages or the unfortunate circumstance of needing to purchase a new, comparable vehicle. 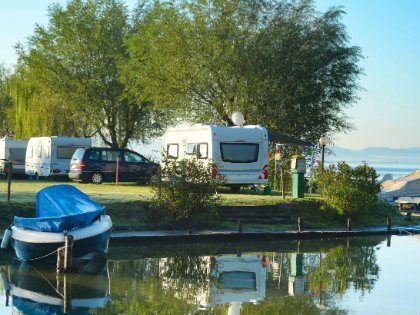 Lucky for you, our Illinois agents are qualified to offer you comprehensive recreational vehicle insurance. We understand that every vehicle is different and you use your motorcycle and your snowmobile for different reasons. Your reasons are likely much different than the next person. Whether you are taking a day ride to historic Springfield or going off-road in the snow on the mountainside, we can insure your recreational vehicle and keep you and your loved ones safe. The Jager Agency, A Division of Dimond Bros. Insurance offers comprehensive and completely customized personal insurance policies that will cover your recreational vehicle in the best way possible for your needs. No matter what the danger is, you will be protected with one of our policies. Whether you’re traveling on the road or off of it in Illinois – keep your recreational toys protected. Unfortunately, if something goes wrong, your adventure can quickly become a nightmare. Give us a call at 888.298.6006 today or fill out our simple, free online quote form and we’ll get back to you right away. Let us help you protect your adventures and provide you with comprehensive and customized recreational vehicle insurance.